5 Brain-Boosting Snacks To Help You Beat The Afternoon Slump! You’re at work, it’s 3pm, your brain is foggy and your stomach starts rumbling… but dinner is still hours away. We’ve all been there! You start looking for a pick-me-up, reaching for coffee and craving sweet treats. Whilst this seems to work initially, after a while your brain and willpower just totally give up. You become even more sluggish and the sugar cravings seem to intensify. Why is this happening? To put it simply, the more sugar you eat, the more you crave – welcome aboard the blood glucose rollercoaster. When blood glucose levels are too high, it triggers a huge insulin release which causes your blood sugar to drop… explaining the highs and lows in energy levels. High-sugar foods don’t just affect the release of insulin and your energy levels, they also affect your gut and the state of inflammation in your whole body, which has an immense impact on your brain function. This is because some of the key brain chemicals are produced in the gut, such as serotonin (90% produced in the gut), dopamine and GABA. Serotonin is a natural antidepressant that also plays a key role in regulating your mood, appetite, sleep, memory and learning. Dopamine is the neurotransmitter of desire and motivation, and GABA is your calming brain chemical that improves focus and reduces anxiety, stress and inflammation. So, if your gut is out of balance, you may end up feeling anxious, moody, forgetful, unmotivated, unable to focus and just feeling generally ‘blah’. Your state of hydration is another key factor affecting brain performance. Only a slight state of dehydration can lead to a decline in your visuomotor, psychomotor, cognitive performance, memory and contributes to increased tension/anxiety and fatigue. So how can you stay physically and mentally alert and energised throughout the day? There are few simple nutrition hacks that you can implement in order to stay focused and cravings-fee. Start by staying away from anything that could upset your gut (such as the tips mentioned above). Then, there are some natural brain-function enhancing supplements you can add to your diet to get the extra kick without compromising your health (and waist line)! · Let them cool and enjoy! This ancient superfood is packed with important brainpower nutrients such as omega-3 essential fatty acids, antioxidants, protein, calcium, iron, potassium, vitamins A, B, E, and D, as well as other minerals. 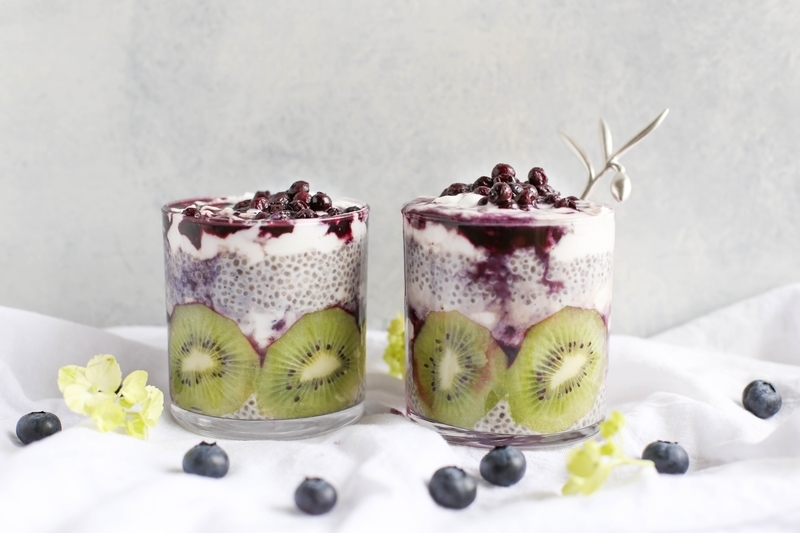 Two tablespoons of chia seeds contain 10 grams of fibre, 6 grams of protein, more calcium than milk, more omega-3s than salmon, more iron than spinach and more antioxidants than blueberries! This makes them one of the best brain-nourishing foods, with the added benefit of also keeping you hydrated. If you’re really time poor and can’t manage to make your own treats then this bar is another great pick-me up option. It comes in two flavours, Cashew Shortbread and Hazelnut Brownie. The shortbread is actually delicious and tastes exactly like the real deal… all you need is a good cup of tea! The bars are made using 100% natural ingredients and contain collagen peptides. Collagen has been gaining popularity, hailed for its multiple benefits including: improved gut health, strengthens joints, aids muscle recovery and younger looking skin. Thanks to our awesome friends at Chief Bar, they are giving SnackWize readers 20% off their first order! Talk about generous! Simply click here to order your bars and then enter the code SNACK20 at check out. Egg is also hugely beneficial for optimal brain function due to the high levels of vitamins B6 and B12, folate and choline. Choline is a key nutrient in the synthesis of acetylcholine, one of the neurotransmitters regulating your mood and memory. Make sure you eat the yolks as there’s no choline in the white. The white is high in protein so we recommend eating the whole egg! B-vitamins and folate are essential for an optimal brain health including synthesizing brain chemicals, regulating sugar levels in the brain and preventing depression. One egg a day will keep your bad mood swings away! · You can also add chopped up veggies of choice. Bacon first around the cup, veggies on the bottom, then top up with egg. You can also make these without bacon or ham, just with veggies and eggs. As mentioned earlier there are some healthy natural supplements that will give you an extra kick to help you stay alert and focused. Lion’s Main mushroom powder or Cordyceps powder by Four Sigmatic are our two best picks. Lion’s Main can improve your memory and may assist with higher and longer concentration levels. Cordyceps is not a stimulant as such but it will help you to maintain constant energy levels as it activates the body's own energy production in the cells. Cinnamon is great for lowering your blood sugar levels and it’s also beneficial for your gut health. Berries are full of antioxidants which prevent inflammation and chia seeds are great for your brain. If you can tolerate coffee, you can also add it in for an extra caffeine fix! 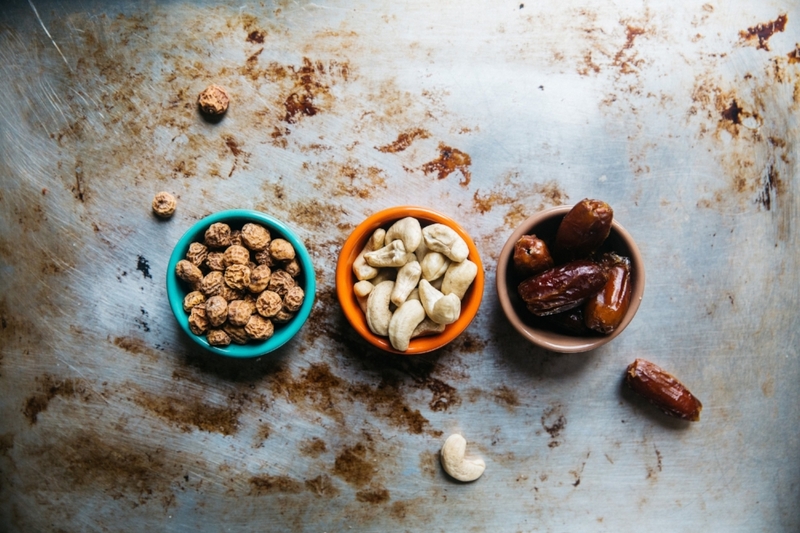 Snacking in The office: Are You Setting the Right Example for Your Employees?